Every week, The WorldPost asks an expert to shed light on a topic that's making headlines around the world. Today, we speak with investigative journalist Anabel Hernández. 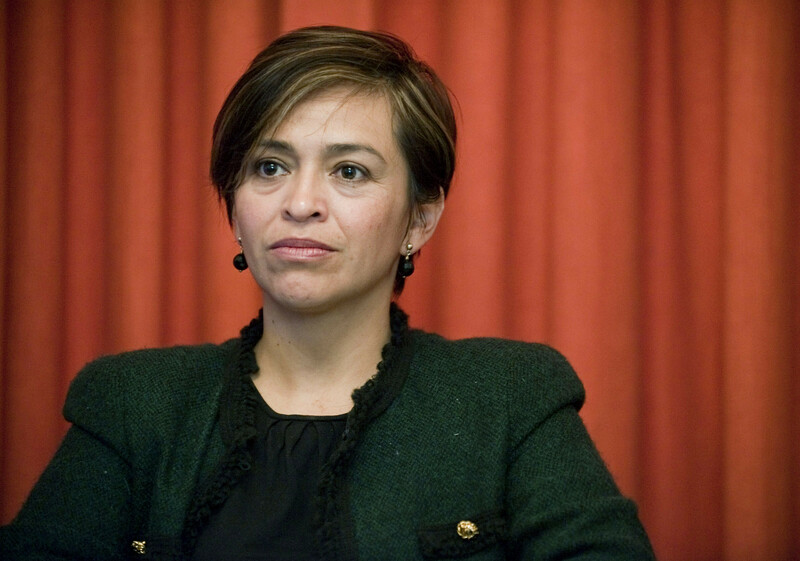 As one of Mexico's leading investigative journalists, Anabel Hernández has dedicated the past decade to investigating her country's drug war -- one of the most dangerous projects a reporter could ask for. Her 2010 book Los señores del narco, translated into English as Narcoland, detailed the extensive government corruption that allowed Joaquín "El Chapo" Guzmán and his Sinaloa cartel to become one of the most powerful criminal enterprises in the world. Working in partnership with journalist Steve Fisher at The Investigative Reporting Program (IRP) at U.C. Berkeley's Graduate School of Journalism , Hernández has also been at the forefront of one of the leading investigative reports into the case of the missing 43 students from the Ayotzinapa teachers college who were attacked by Mexican police in September. Hernández spoke with The WorldPost about the misconceptions surrounding Mexico's drug war, the role the U.S. plays in Mexico's violence and why we shouldn't assume that drug cartels are behind the disappearance of the missing 43 students. I've been reading your book Narcoland, and your vision of Mexico's drug war caught my attention -- it's very different from what we're accustomed to reading in the U.S. press. What are the biggest misconceptions that you see in the media about the drug war? When I started to work on that book about Chapo Guzmán back in 2005, I had the same misconceptions that most of the media and journalists had in Mexico, the U.S. and the rest of the world. I had swallowed the story that Chapo Guzmán was just a brilliant criminal -- a man so intelligent that he was capable of subjecting the governments of Mexico and the United States to his will. The Mexican government constantly said they couldn't catch him because he lived in a cave in a mountain in the Sierra Sinaloa surrounded by people who protected him. And those of us in the media had only concentrated on the legend of Chapo Guzmán, based on his violence, on the tons of drugs he trafficked, without asking ourselves, "How does he do it? How can this man be so powerful?" And the only way of explaining how the Sinaloa cartel and Chapo Guzmán became so powerful is with the complicity of the government. I starting doing public information requests in Mexico to see if these things being said in [the U.S.] courts were true. What I found was that during Felipe Calderón's so-called drug war, the cartel that was attacked the least, that had the fewest arrests, was the Sinaloa cartel. And in government statistics, throughout the Felipe Calderón administration's six years, there were increases in marijuana production, increases in opium production, increases in amphetamine production, increases in drug consumption in Mexico. What kind of drug war is this where a cartel gets stronger, becomes the most powerful cartel in the world, and on the other hand, drug production reaches historic levels in Mexico? How has all this changed during the transition from the Felipe Calderón government to that of [current Mexican President] Enrique Peña Nieto? When Enrique Peña Nieto took office, he really took over a country that had been destroyed. Instead of recognizing that and developing a serious plan to confront it, Peña Nieto tried to sell the image to outsiders that "no, Mexico is doing really well -- we're passing political reforms, social reforms, economic reforms, and everything is going very smoothly." The international press believed it. A February 2014 Time Magazine cover story sympathetic to President Enrique Peña Nieto was widely criticized in Mexico. He tried to silence the violence. If you follow official figures for disappearances, for kidnappings, for homicide, you know that deaths remain at very, very high levels in Mexico. They haven't really dropped. The only thing that has changed is that the press doesn't talk so much about the numbers. But the cartel violence is still there. The U.S. offers the Mexican government quite a bit of money to fight the cartels. What's the United States' role in all of this? What's the effect of the support the U.S. government offers to Mexico? For me, one of the truly pressing questions is: What does the government of the United States want? What is really its objective? To end drug production in Mexico? To destroy the drug cartels? Or to control them and administer the business? I've found, for example, that in the case of the Sinaloa cartel, there have been agreements between the DEA [U.S. Drug Enforcement Agency] and the Sinaloa cartel where they gave the cartel immunity -- You guys traffic what you want, and in exchange, give me the names of the leaders of your enemy cartels. And that was how the DEA and the Mexican government went about capturing many of Chapo Guzmán's enemies during the Felipe Calderón administration. That's one issue. On the other hand, I don't understand what the objective is behind the Merida Initiative [a U.S. drug war military assistance plan launched in 2007]. The U.S. government gave about $1 billion to the Felipe Calderón government and continues to give money to the Enrique Peña Nieto government, along with arms and technology to equip and train the Mexican navy, the army, the federal police, as well as municipal and state police. But the army, the navy, the federal police and the local and state police have been infiltrated by the cartels. What the U.S. government did indirectly was to make the cartels more powerful. The media often relates the story of the 43 disappeared students to the drug war, because the students were supposedly handed over to a criminal group that killed them. You've done one of the most detailed investigations on this subject, so what do you think? Is this a drug war story, or some other kind of story? What happened the night of Sept. 26, 2014, in Iguala is a very complicated subject. I think that it's principally a political story, rather than a story directly involved with drugs. Based on the information we've obtained, on documents, and according to the most recent reports from the Inter-American Commission on Human Rights, which have come to conclusions very close to ours -- many of these supposedly confessed killers were tortured. And now they're refuting their confessions. They're saying, We were forced to say this, but we didn't have anything to do with it. In other words, the idea that the students were handed over to a criminal group, to a drug gang, for me is still very uncertain. I wouldn't claim it as a fact. There's no clarity about whether it actually happened that way. The people [the Mexican authorities] detained were small-time crooks from Iguala. They weren't big-time criminals or major drug traffickers. They were some poor devils who were standing on the corner that the federal police or the military came around to arrest. They were tortured to confess a bunch of things that there's no concrete proof they actually did. But the story is indirectly related to the drug war in this way: The documentation, testimony and videos that we have show that the military, the federal police and the state police, and to a lesser extent the municipal police in Iguala, participated in the attack on the students. They were there. The federal police have been trained and armed by the government of the United States within the framework of the war on drugs. The U.S. government offered arms, money and training to these corrupt entities because of the drug war. And today, these corrupt entities use those arms and that training to attack Mexican citizens. This interview has been translated from Spanish and edited for length and clarity. Correction: An earlier version of this article incorrectly stated where Steve Fisher works. Fisher is with The Investigative Reporting Program (IRP) at U.C. Berkeley's Graduate School of Journalism.